Can-Am is the recreation-utility (RTV) and ATV division of BRP, Bombardier Recreational Products. The Maverick line features the 101-hp 1000 Rotax® V-Twin engine. 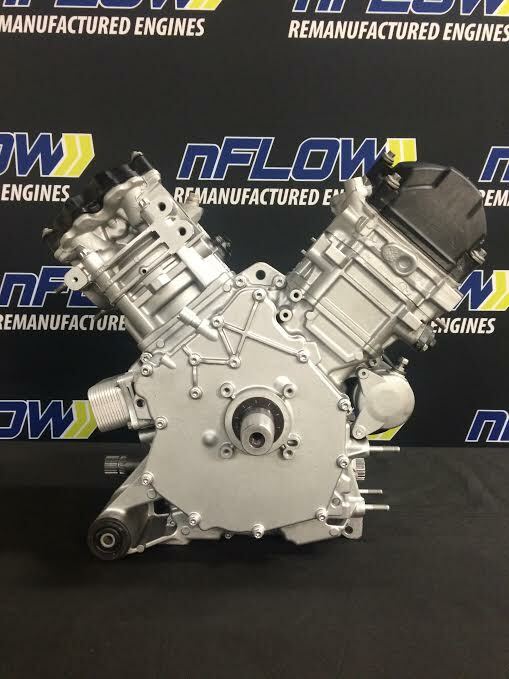 Listed here is a remanufactured Maverick 1000R engine which is often used to power the Can-Am Maverick X MR DPS, standard Maverick, and the Maverick MAX. Our work focuses on remanufacturing this already outstanding engine, restoring the engine's power. All of our engines are completely disassembled, extensively cleaned and inspected upon arrival to determine engine failure. Any worn or damaged parts are replaced using new or remanufactured premium quality components. This Can-Am Maverick engine was assembled with precision, using stringent operating procedures.